Endurance athletes demand a lot from their bodies. Hours of training depletes micronutrients (vitamins and minerals) and stresses cells. Although some supplements can help replete important micronutrients, research suggests repletion through whole foods is far superior. Whole, unadulterated foods contain thousands of enzymes. At the current time, the complete role of these enzymes in our bodies is not fully understood, however it appears that one role the enzymes play is to make micronutrients more bioavailable to the cells. As science moves forward, it is my guess that we will learn these enzymes are critical to our health. An easy way of ensuring you are getting all of your micronutrients and the associated enzymes is through juicing. 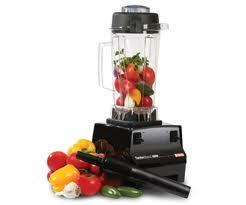 I MUCH prefer the blender type of juicers, where you get 100% of what you put into the blender out. I use a Vitamix blender. Another great utilization for the blender is breakfast smoothies. During training, it is important that you are starting your day with a meal that provides sustained energy. I prefer to start my day with a protein smoothie. Protein is essential in your diet during training. It is crucial to muscle recovery.